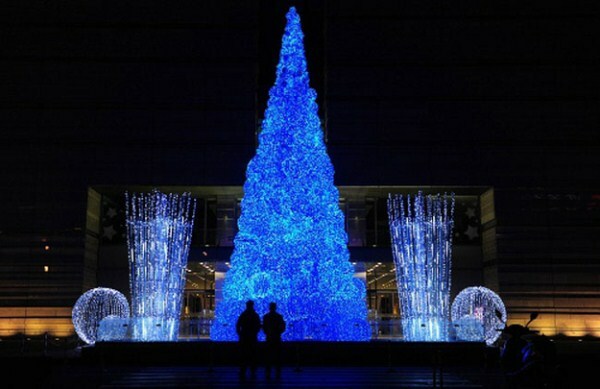 Check out a few places that are known for taking Christmas trees really seriously. 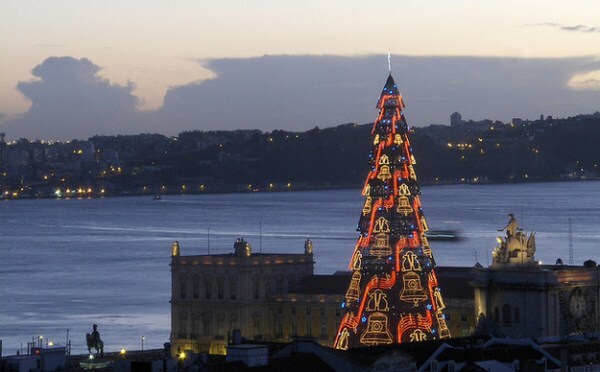 The Christmas tree in Lisbon is pretty famous. It made it into the Guinness World Records in 2005 for being the tallest tree in Europe, and went on to be 249 feet tall in 2007 (the height changes every year, which is kinda suspicious). This tree is believed to be more than 400 years old! It was first lit with around 500 lights in 1928, but these days, it proudly displays around 5,250 bulbs. 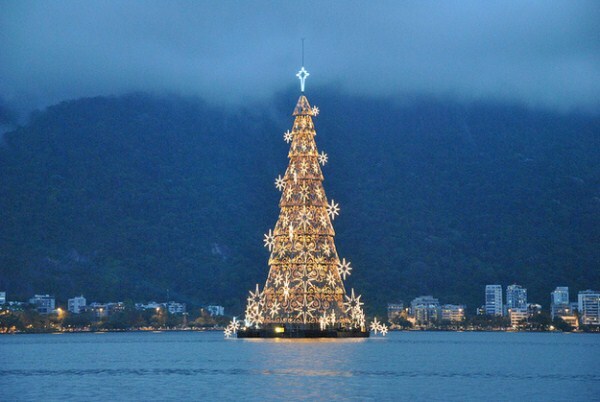 Brazil is home to the world’s largest FLOATING Christmas tree. 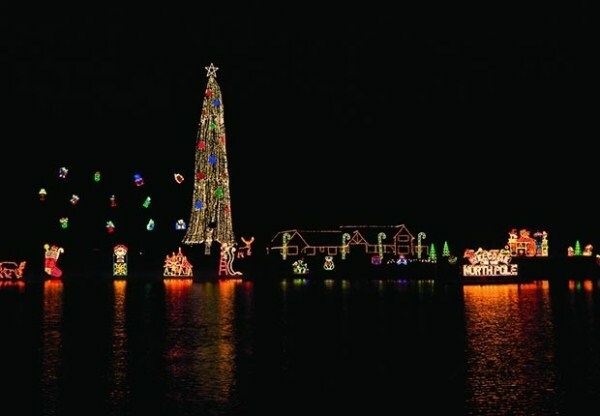 It’s 280 feet tall, weighs 542 tons, and is decked out with more than 3.1 million lights. Its beauty is known to make people cry, which is sad because look how pretty it is! 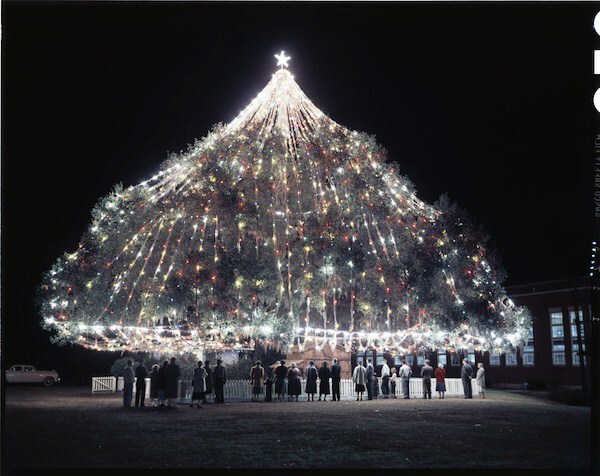 The people of Coeur d’Alene, Idaho are lucky because they possess the world’s tallest LIVE tree. 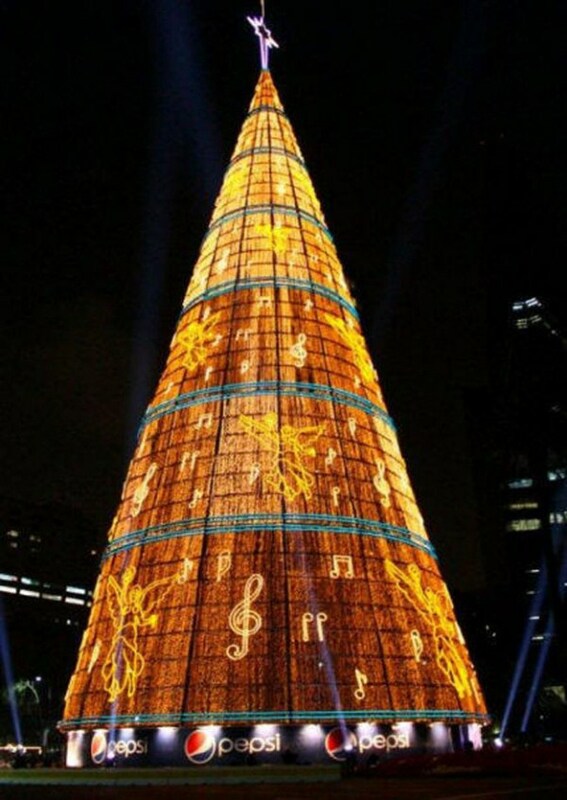 At 162 feet, it’s twice as tall as the tree in Rockefeller Center, and is decked out with more than 30,000 lights. But the most amazing part of this tree is unquestionably the 10-foot-tall star that sometimes rests on top of it. The Mount Ingino Christmas “Tree” actually consists of many, many little trees. 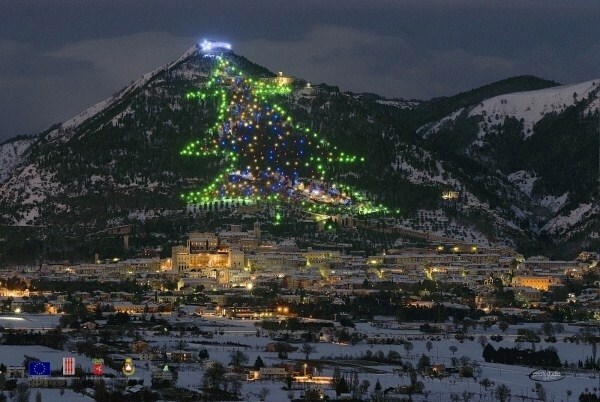 Every year, the slopes of Mount Ingino are outfitted with more than 3,000 lights and at night, they glow quite beautifully in the shape of one big (2,130 ft high and 350 meters wide, to be exact) tree. Beijing – ChinaChristmas isn’t really celebrated in China but since it exports so many ornaments and decorations and other holiday trinkets, it’s not unusual for the people get a little carried away with the festivities and light things with fibre-optics. This 98-foot tree in Hong Kong may be a little shorter than the others, but it’s definitely got the best outfit of them all. 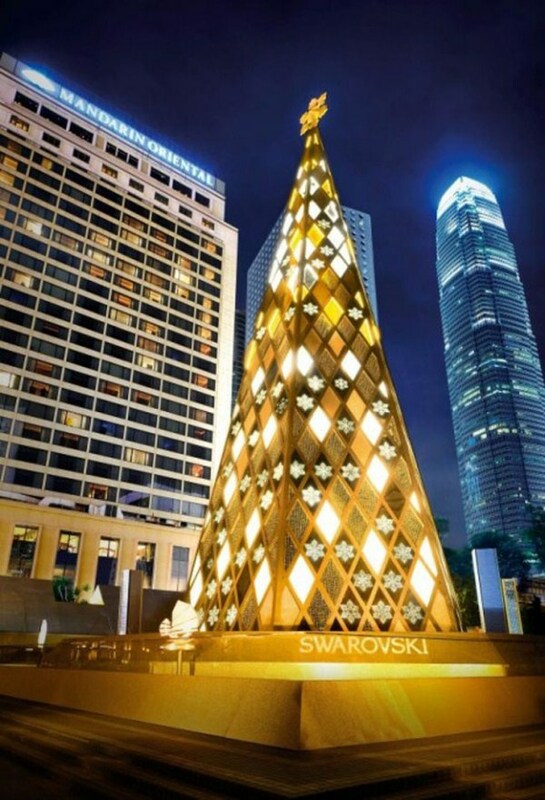 The actual tree is protected by a sheath of more than 20 million Swarovski crystals and long panels of silver and gold. If the only things you had enough patience to build with Legos were drawbridges and bulldozers, then the people of London have you beat. 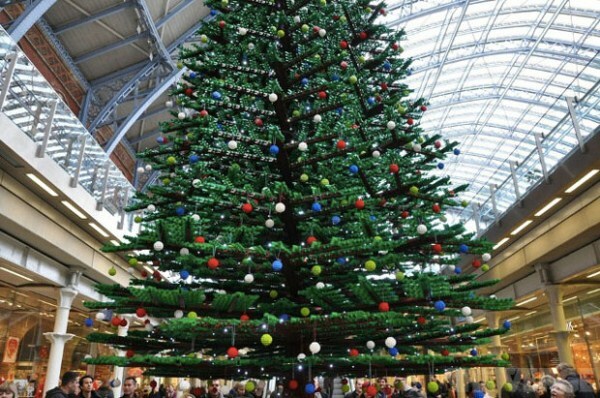 Deep within London’s St. Pancras Station is a tree made out of 600,000 Lego pieces, and more than 1,000 ornaments (also made of Legos) are perched happily on the branches. But if trippy things are more in your wheelhouse, Peter Terrens is your man. 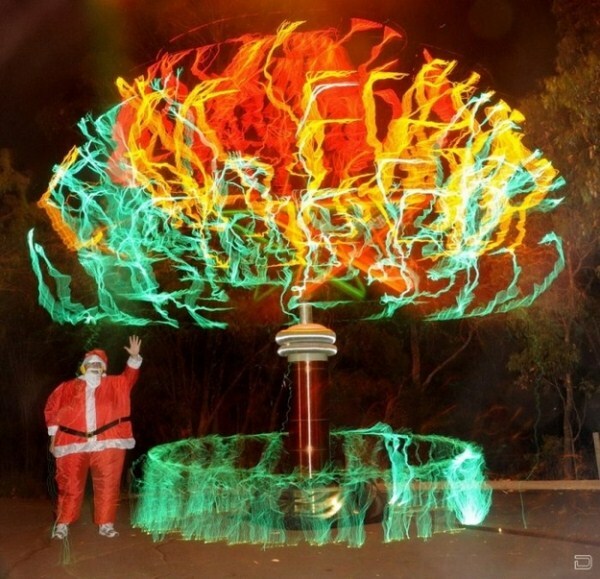 He made a tree out of 500,000 volts of electricity using Tesla coils in 2009. He explained the process on his website, saying he rotated a “colored filter with the tree shape outlined by sparks from a rotating rod on top of the Tesla coil” (but let’s not let get bogged down with the science stuff — it’s the holidays! ).